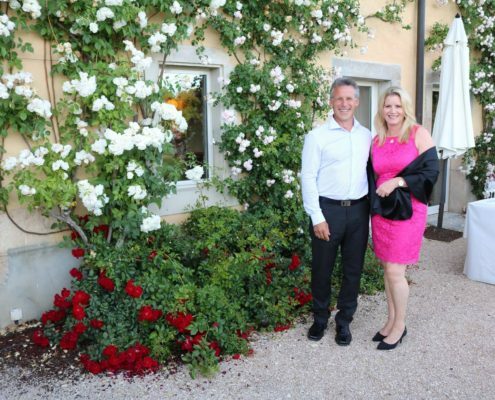 Well, while he’s outside mowing the lawn, he is trading his time for a $15.00/hour task… time that could be spent nurturing high-value offerings, growing his business, and contributing to his long-term financial, personal, and professional success. The lesson? To uplevel and truly cultivate a millionaire mindset, we must weed out non-essential tasks, and make sure we’re spending the majority of our time where it counts. For many of us, this means we can hire someone to do the things we don’t like to do anyway! I just treated us to our first housekeeper at our BC home. It felt great! Let me be clear about one thing – the millionaire mindset applies to financial goals, of course, but it encompasses far more than that. It means defining what wealth is in all areas of our lives – personal, professional, and spiritual. How do I want to spend my days now and in the future? I love to cook so I will never hire someone to do that for me, but lots of people don’t love to cook and there are services that deliver almost prepared meals to your door now. My niece loves that! You should KNOW what your time is worth, and be focused on high-level activities that truly move your life and business forward. Don’t be worried about life becoming all work and no play – when you’re tapped into your true power there is a certain sweetness and enjoyment to life that is worth the sacrifice! When we are lucky, work doesn’t actually feel like work. 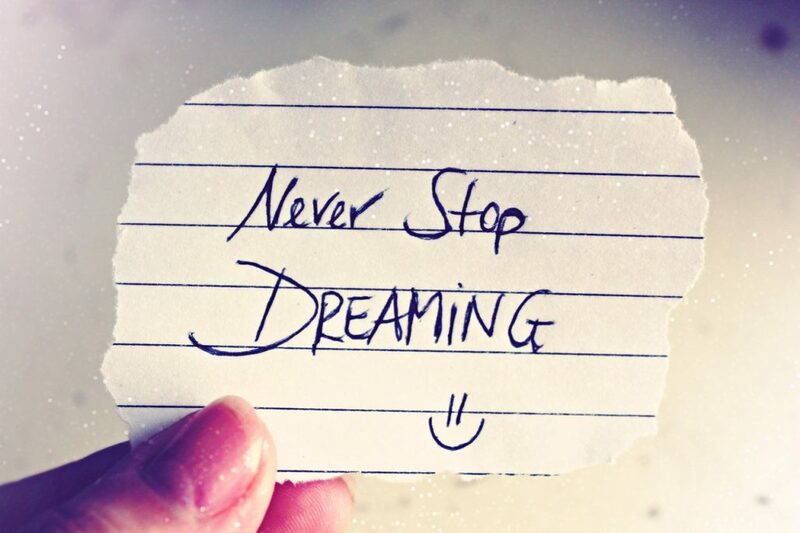 That is the goal for me! What kinds of activities help us to cultivate a millionaire mindset? 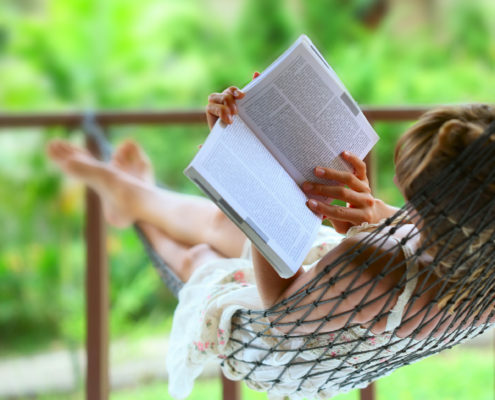 Reading should be #1 on your list if you plan to develop a millionaire mindset. When we read, we expand what is possible – literally allowing ourselves to picture futures we didn’t even know were available. That’s a gift we don’t want to waste. I keep a basket of books in my living room that inspire me and any given day, I can pick one of them up and even spending 10 minutes reading makes a difference. I feel calmer, balanced and inspired all at the same time. 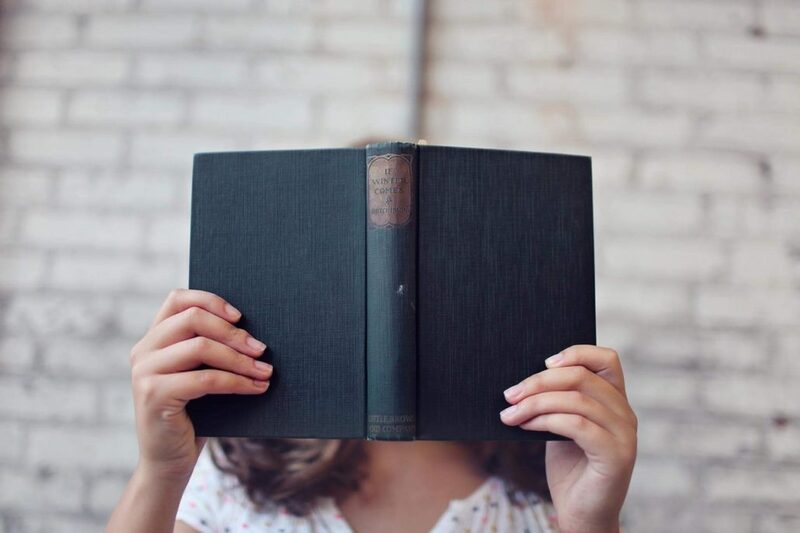 So, when was the last time you picked up a book and finished it? If you feel strapped for time, commit to reading 1 book a month. This can be accomplished in just 10 minutes a day! We are the sum total of the 5 people we spend our time with – who are your 5? I encourage you to actually write this down. Consciously acknowledge who you allow to have the most influence over your life. Sometimes we need to think more about who we are spending all our time with. Are they inspiring and going somewhere in their life? If not, it doesn’t mean you don’t still love them but maybe you need to add someone that is. Our friends are the family we choose. We need positive, growth-oriented, loving, and constantly-evolving relationships in our lives, and we need people who will challenge us to be our best. That doesn’t mean you cut good friends and family out, it just may mean it’s time to widen your circle of influence. What affirmations would you like to use on a daily basis? Write them down now. If you can’t think of any, just spend a few minutes searching “affirmations” on Pinterest or Google. You’ll find plenty of gold. You can also purchase affirmation decks, and simply consider a positive thought every morning during breakfast. Click here for a page of my favorite affirmations. Growth is challenging, and we all need good teachers. I recommend making educational goals for your year, just like you do for your financial goals. Set aside time and money to invest into yourself. Plan to attend conferences, speaking events, author events… anything that is high-value and aligned with your ultimate financial, spiritual and life goal. The more you learn, the more effective you will be at capturing dreams in the real world. For instance, there is still time to get a ticket to the Go Pro event next month. If you want the chance to learn from the likes of Tony Robbins and Eric Worre, and many, many more, there’s still time. Click here for more info. Remember, your mindset is like a muscle – if you develop it, it expands. If you don’t, it weakens. Affirmations, reading and listening, learning, who we spend time with – all these things help us develop an authentic millionaire mindset. When our mindset is aligned with our goals, and our goals are aligned with high-impact activities, then MASSIVE achievement is RIGHT around the corner. That’s a promise ;). I know from first-hand experience. Never EVER underestimate the power of your mind. P.S. 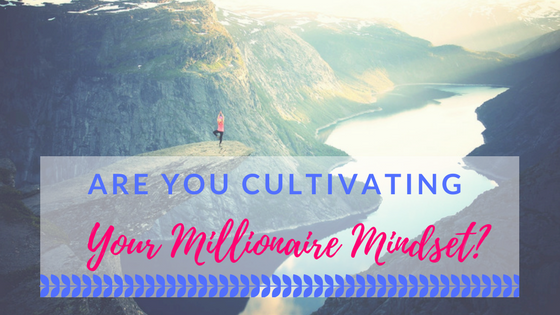 I hope you found my article helpful on Cultivating Your Millionaire Mindset. 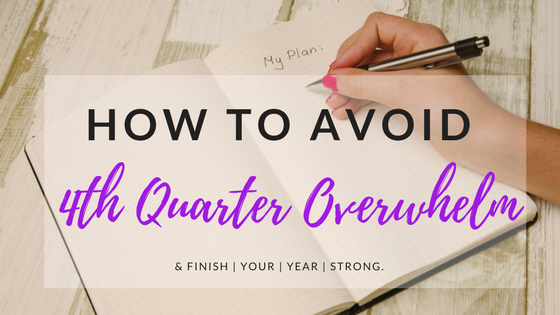 If you liked this blog post, I think you will love my blog post on Avoiding 4th Quarter Overwhelm. The calendar year is coming to a close in less than 4 short months (September is almost done! ), and with that, so is the final quarter of 2017 for our businesses. I don’t know about you, but with the launch of Jeunesse in India, my final quarter for 2017 is adventurous and packed FULL of travel. In other words, crazy busy. Despite that, I really believe that a last-minute wrapping job on an otherwise fantastic gift of year can ruin your outlook on your achievements and leave you scrambling to get it all done before the holidays. That’s not how I want to feel, and that’s not how I want anyone else to feel either! 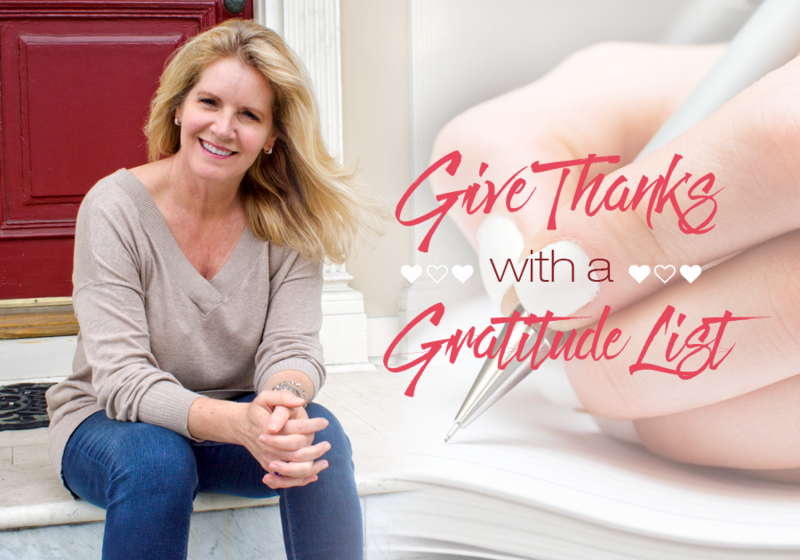 I’ve found that 4 simple, yet powerful steps help me walk through my last quarter in a positive state of mind, full of gratitude for what’s happened, and excitement for what’s next. Forget empty new year’s resolutions – let’s get a concrete hold on our future successes. 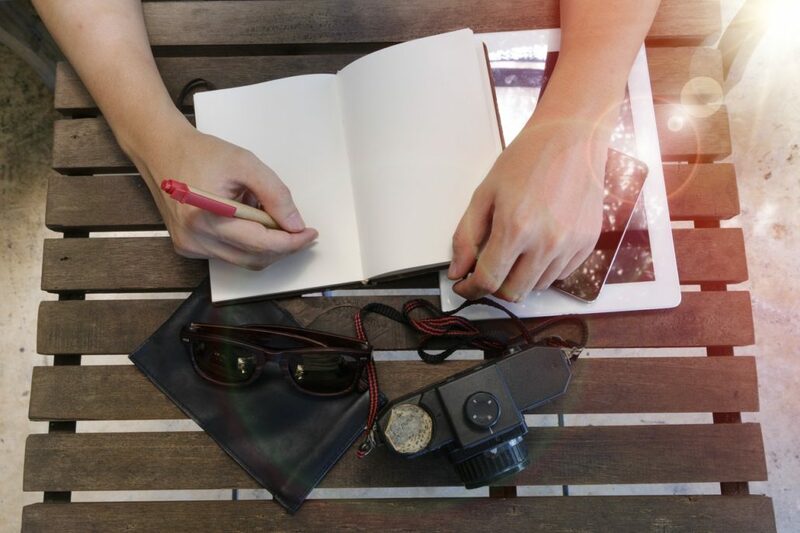 Create An Accomplishments List. This is something that spills over from the professional realm and into the personal. You probably already know that I love the physical act of writing down my wins from the year in all areas of life. This is something that you can include the entire family in too! Everyone can add to the “Wins List”. Keep it on the refrigerator for the remainder of the year, and add to it as you think of additional awesome things you and your loved ones were able to conquer together. It keeps spirits so HIGH throughout the year-end bustle. Organize Your Physical Environment. This doesn’t have to be a chore. This can be a joy. Especially when I consider all the hours that I spend in my workspace. A clean, inspiring, and functional home office is a gift that just keeps on giving. When I’m able to work un-interrupted with water and snacks nearby, it changes everything! Maybe organizing your space includes a fresh coat of paint on the walls? Investing in that standing desk? The possibilities are endless. Set Up New Systems & Replace Outdated Organizational Tactics. There are lots of things in our lives that sit around, neglected and under-utilized. But it really doesn’t take much to clear the deck, and create systems that work for you, not against you. Is your bookkeeping software still working for you? Do you have an inbox that makes you slightly nauseous? How long has it been since you had a look at your finances? Do you still have a filing cabinet (physically or virtually) full of who-knows-what? These tasks probably fall under the “swallowing a frog” category, but if you block off time to accomplish them before beginning the new year, the mental and emotional burden is lifted, and your self-confidence will be too. Define Your Forward Momentum. Defining your unique vision is the key to all accomplishment, in my opinion. And by define – I don’t mean loosely color in – I want you to set SMART goals for 2018, and spend the time to chunk those goals down and divvy them up over the next 4 quarters of the year. Doing this early, (and then reviewing quarterly) is the absolute best way I know of to keep my productivity soaring, and to avoid busy-work. This is also where you can ask and answer some FUN and CRUCIAL questions. Things like…Is it time to uplevel? Can I afford to hire some help come the new year? 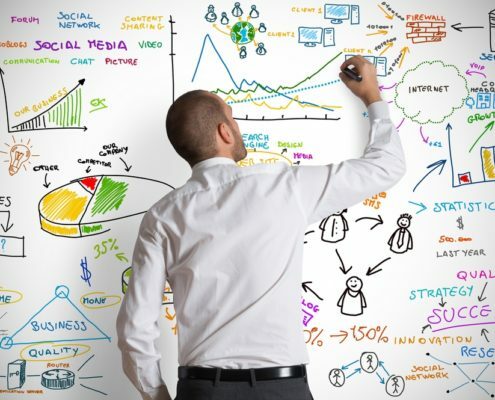 Am I at the point in my business where a virtual assistant makes sense? What new money goal do I want to set for myself? If you’re clear that these things are apart of your vision for 2018, you can wrap up your last quarter proactively. This grab bag of practical end-of-year tips ensures that I have the help/systems/headspace needed to lead myself, my team, and my family into the new year happily, and highly motivated. I hope it does the same for you! P.S. I hope you found my article helpful on Avoiding 4th Quarter Overwhelm. If you liked this blog post, I think you will love my blog post on Getting Back Into a Routine After Vacation. Given how long it has taken me post our vacation to get this blog article out, I know first hand it isn’t easy to get back to work after an amazing vacation. The summer months are the most popular time for vacations – especially with our kids out of school. A trip out of town, or even a “staycation” is well-deserved for everyone and it’s truly essential for us to maintain, not only our sanity, but also our productive time! I think we all know that not taking any time off can be just as bad for our health as it can be for our careers. Research shows that by being able to take a vacation or time off makes all of us a better worker. So don’t feel guilty about taking that vacation. It’s for your own good. 🙂 Our Tahiti trip early this summer certainly was great for us. I was just talking about some of the life long memories with our oldest daughter. Take an Extra Day: Getting back into the thick of it can seem like quite the task so it’s best to give yourself some time, perhaps a day or two, to get you mentally back into work mode. Some of us just may not be quite ready to get back to work, especially if we’ve been out of town. Take that extra day off when you’re back home to reset your clock. When you do get back to work, start to ease into your tasks. If possible, cross off some of the easy things during that first day or two so you don’t get burnt out or feel overwhelmed with work when you’ve just returned. If you’re anxious and excited to get right back to it after a few days out, all the better but you will benefit by easing back into it the first day or two. 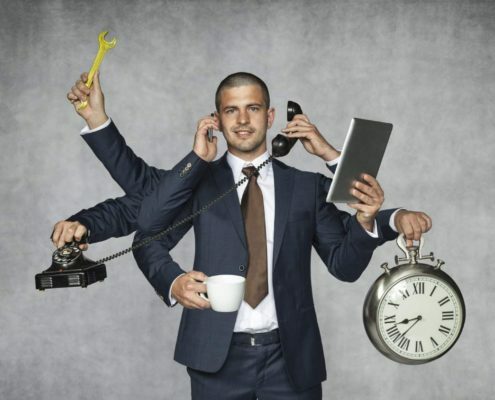 Resist the Urge to Multitask: Multitasking is a necessary evil. It’s something we all have to do. But multitasking can put additional stress on the brain, and this can quickly unwind all the relaxing you just did on vacation. When you’re back in the office after vacation, you will have hundreds of unread e-mails to reply to, piles of paper to sort, and tasks and phone calls to return. Your instincts may kick in and you may start to attack everything at once. However, this will set you back and make you wishing and thinking about your next vacation. 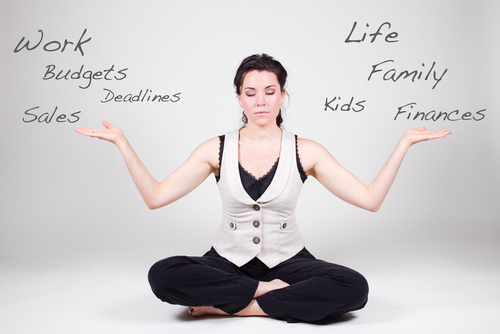 Check off one item at a time to help you regain focus and set priorities. 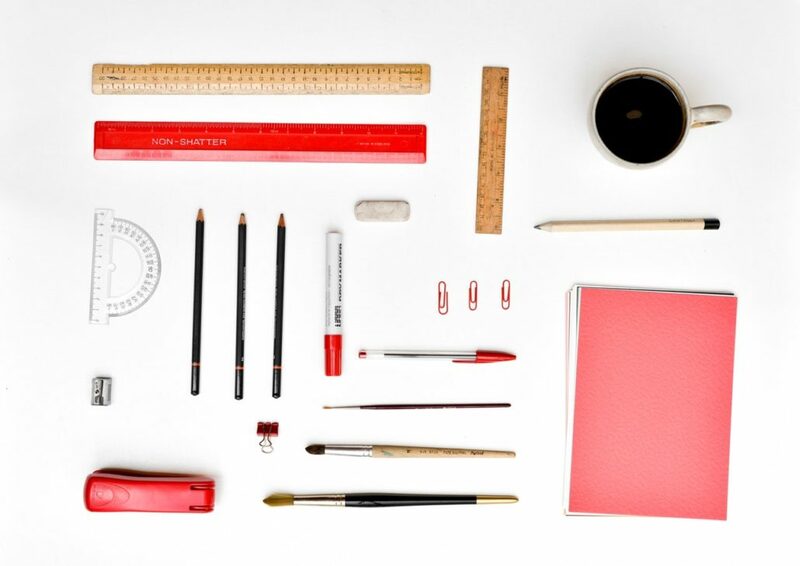 That first week back, looks at your tasks and set up a weekly schedule to spread your work throughout the week. 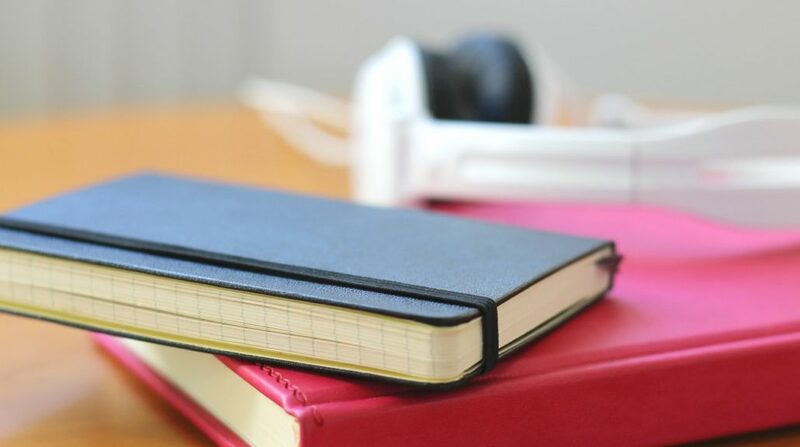 Having one massive to-do list can seem like an uphill battle; however, a day-by-day schedule of achievable tasks seems less daunting and can provide a more cheery outlook. One thing I have discovered is that the pile of emails isn’t that bad. A lot of it has gotten worked out by the time you get back and some of it just wasn’t that important anyway. Prioritize your most important tasks and get those done first. Get Back to Your Routine: Vacation mode is a real thing and after a week or two away from work, all the things you knew off the top of your head will be pushed under the newly created memories of your time away. But don’t fret, all of your login passwords and client’s names will come back. Prior to taking vacation, you had your existing routine. It was that specific way that you did things to make your day easier. Maybe you went for a run in the morning and on Friday went out with your team. Whatever it was that you regularly did, whether it was at work, at home, or just around town, find that comfort again and it will go a long ways towards helping you feel more receptive to being back. Appreciate the Time Away: Keep in mind that just because you’re back to being productive and taking orders doesn’t mean you aren’t allowed to appreciate the experiences you had on vacation. It’s important to take the time to be appreciative to take time off. If you took pictures, feel free to share them with your teammates. Tell stories about the experiences you had or any interesting people you may have met in your travels. Do some more reading about the places you traveled. 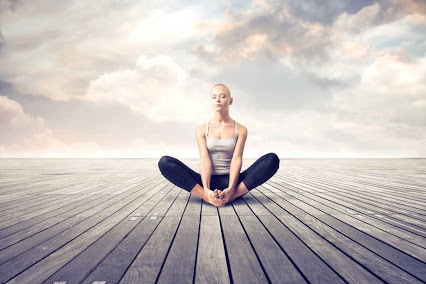 There are a number of ways that enable you to extend your vacation mentally. There are always things that I do on vacation that I think I am going to bring some of this back with me. Even if it is just sitting outside for 10 minutes with that chai latte, it all helps. The point of life is to create a life that we don’t need to run away from. I am building a life that I love every day. Just these little reminders of being able to travel or take time off can truly make you more appreciative of your business, which, in the end, makes it all possible. P.S. I hope you found my article helpful on Returning To Your Routine After A Vacation. If you liked this blog post, I think you will love my blog post on Taking Better Care Of Yourself. We have all been there before. That feeling of guilt when you take a day off or just take some time to disconnect from the world. After our annual convention in Las Vegas last week I was definitely tired! Don’t worry. Most people feel that way when they feel the need to make time for themselves. There’s no need to feel guilty. Guilty is rarely a useful emotion. It’s important to know how to take care of others but just as important for you to take care of yourself. If you don’t hesitate to help friends and family, you shouldn’t feel guilty when it comes to helping yourself. The idea of self-caring can sometimes have a bad stigma attached to it and it shouldn’t. There’s no need to view yourself as weak if you find yourself needing a “mental vacation” or a real vacation. Here are a few items to keep in mind if your stress levels are on the rise. Learn to recognize the signs of distress in your mood and your behavior: It’s okay to admit that everyone has signs that tell them they’re either close to, or at, their breaking point. It could be fatigue or anxiousness. Maybe your behavior is off and you could be having mood swings or just irritable. If you feel you’re at this point, stop and take some time to regroup and look into what may be causing you to act out of character. Sometimes it is too much work and not enough fun, or a lack of exercise, or not enough sleep or even not enough of healthy food. There is a reason for that new term called “hangry”. Try to maintain your sense of humor: Humor can often be overlooked to help ease your stress levels. It’s important for our well-being that we laugh and laugh often. I have even set it as a goal for me this year to laugh more, to be silly more. It can also have a way to help put things into perspective. Laughing at your favorite movie or TV show or even personal situations can help improve your mood and release some stress. My Mother has a very funny sense of humor and I am sure that it helped her every day with the raising of 9 children! My Dad always enjoyed my Mom’s sense of humor too. We still do. If you can lighten a mood with a smile, a giggle, a tickle, a silly moment – everyone will be better for it. Balance your personal needs and work: It won’t do you any good if you recognize your stress but fail to do anything to remedy it. Be sure to limit your work life so it doesn’t take over with your home life. Doing so will allow you to go back to work with a clearer mind and invigorated attitude with just that small extra mental break. The key is to take this time prior to reaching your breaking point, take time to reset yourself by going for a walk or just sitting down and taking a much deserved moment with yourself. We are all addicted to too busy. I know I certainly am! 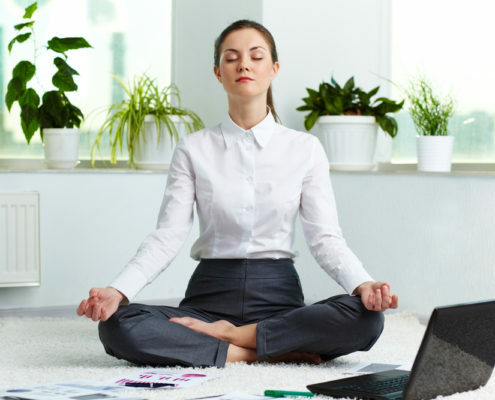 Find a workplace that encourages self-care: This may not be feasible in all cases but if your workplace environment is causing much of your stress it may be time to find one that won’t. There are some workplaces that encourage stress-free cultures. If you are an employee, try to find a place where they help employees celebrate successes, insist on a work-life balance and provide them with positive feedback. 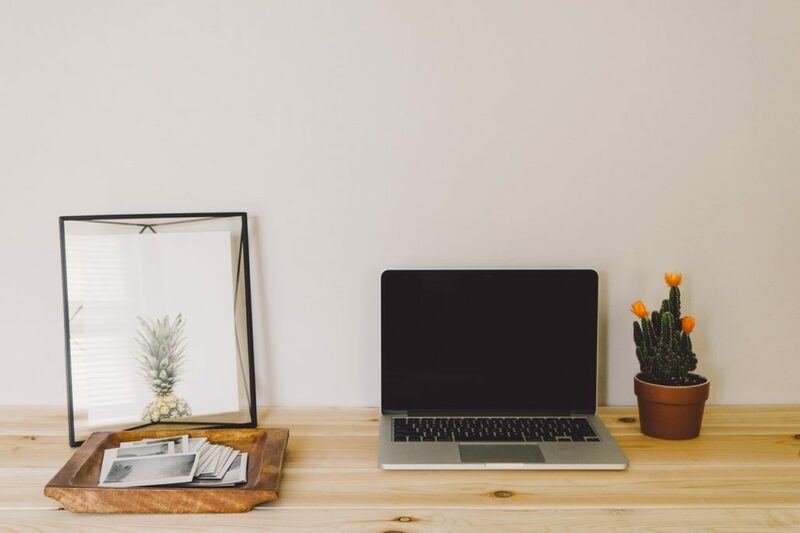 If you are building a home based business full-time, make sure that your office in your home is inviting and easier said than done, set office hours. Treat your home office like you would if you were getting paid by an employer. In our network marketing business, we are both the boss and the employee. When we like our office surroundings, we all work better and more happily! Spend plenty of time with friends & family: Spending time away from work can be an effective way to help restore you and reestablish a sense of being yourself. Try to surround yourself with people that fill you up, that complement you, that get you and love you and that you can laugh with. The saying we are the sum total of the 5 people we spend all our time with is so true. Think about the 5 people you spend all your time with – is it moving you towards the life you dream about? Do the people you associate with help you meet the needs of others? Just being in the presence of those that you love and admire and that feel the same way about you can help take the stress off as they provide a sense of familiarity which helps most people feel more content in our lives. Remember if you fail to take care of yourself, this may cause you to make some decisions that could put yourself and others at risk. It could be as small as an email sent to the wrong person or being distracted when your attention was needed or losing some of what makes you vital and healthy. It is actually unselfish to take the time to care for yourself. When we are at our best is when we can give our best to others too. Enjoy your well-being! P.S. 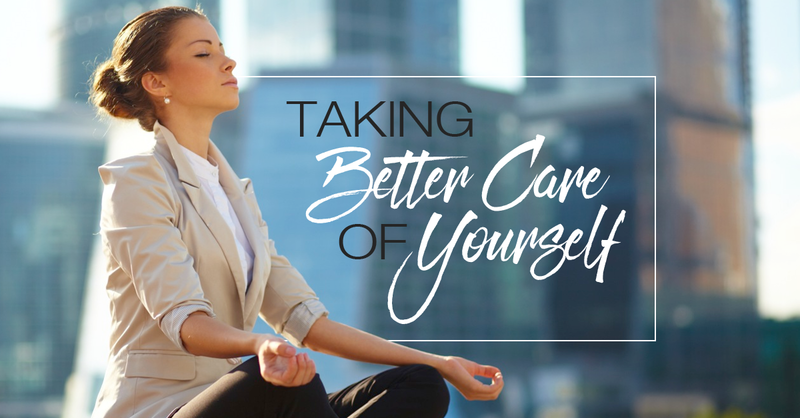 I hope you found my article insightful on Taking Better Care of Yourself. If you liked this blog post, I think you will love my blog post on Managing Overwhelm and Creating Success in your Business. 1. 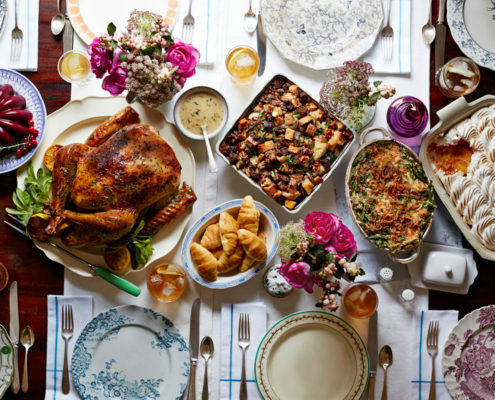 YOUR FAMILY AND FRIENDS DESERVE YOUR UNDIVIDED ATTENTION. Working from home means you can always be “ON”. Downtime gives you an opportunity to reconnect and rediscover your loved ones, and this is truly important in life. They need it, they deserve it, and you need to give it to them. Provide your full and undivided attention, and budget for it so that the experience is a magical one. Be generous for this allotted time. It’s the time to make up for any late nights, time away on business travels, etc. It’s important not to use these days off cleaning the house, or finishing overdue projects. Think skiing. Think Tropics. Think seaside cottage retreat. Think beach house and camp fires. And s’mores. 🙂 Your family and you will be more rested and ultimately grateful. There’s a special feeling you get when you grab your family photo album and relive the wonderful memories over and over. Memories are something we hold most dear. Our elders will tell us it is the memories they remember that are the most meaningful things to them. We cherish the good times, remember and hold onto them forever. We must remember as entrepreneurs that if we are doing something that isn’t making us money, that’s okay! The memories you create are invaluable, and could generate many happy returns for you. Life is more valuable when filled with memories and experiences! 3. VACATIONS KEEP YOU FRESH. New experiences rev your motor, keep you healthy (stress is #1 health problem) and help you avoid burnout. People are taking less vacations overall. According to a study published by the Bureau of Labor Statistics, more than 9 million people in the USA took a vacation in July 1976. Today, it is closer to 7 million. Shockingly, a 2012 study of American people discovered they left 9.2 vacation days unused! Too many of us walk around, stressed, overworked, and burned out. We work ourselves to the bone. Consider it your medicine, for you, your business, and your family. When you return, you’ll find everything rolled along fine without you, you’ll be recharged, and ready to take on the world. Taking a vacation gives you the chance to renew your energy, find balance, re-align, and broaden your horizons. This opportunity gives you the chance to indulge in your own needs for a select amount of time. When you return, the results will show in increased productivity, and a positive new outlook. And who doesn’t love views like this! Vacations help to give you the opportunity to get away from the usual routine, you’ll meet new people, eat new food, sleep differently and more. It shakes everything up! You begin to see things differently, think outside the box, and allow yourself to try new things. Funny, how when I am home, I go to bed too late but I have noticed that on vacation I can finally start a new routine where I go to bed at a better and healthier time. I love all the time we get to spend outdoors during vacations. We played in the ocean every day! When you give yourself the chance to relax, you open other creative parts of your brain that you may not be using on a daily basis. Bring back inspiration (and perhaps some new ideas) when you return to reality. As you’re laying on the beach, you may envision and manifest your business’ future. This is essential, yet sometimes difficult during the daily grind. Vacations let you think to yourself for uninterrupted periods of time. When you allow yourself the opportunity to think about something else other than your daily routines commitments, you open your mind up to new possibilities. 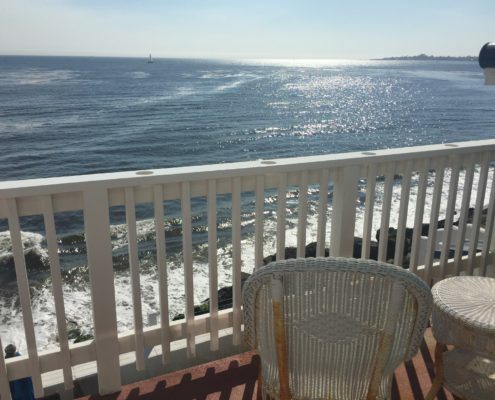 I love sitting on the beach or a gorgeous deck thinking about what do I want the next year to look like and what am I going to do differently. I also get to read more on vacation because it is such a great escape into another world. It is vital you start changing your perception about taking time off from work to vacation. Reverse your logic and tendencies to perceive a vacation as indulging in life, but rather, focus on the benefits vacationing can offer you for your general overall happiness and your business will be more likely to thrive too! These important vacation tips are yours to share with your team! I hope that it helps you recharge and helps your business flourish. Do you have a vacation tip you want to share? Post it in the comments below! P.S. 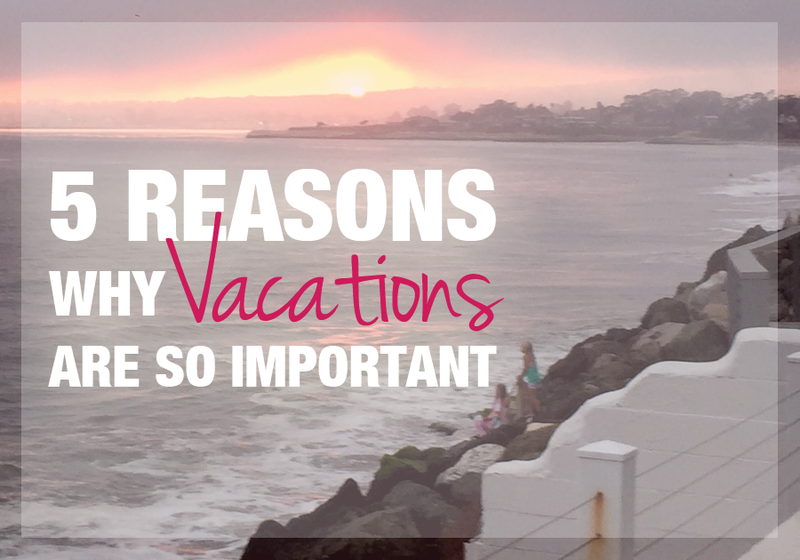 I hope my 5 Reasons Why Vacations Are Important article was helpful to you. If you liked this blog post, I think you will love my blog post on How To Work With A Long Distance Team. If you want to build a BIG business in the network marketing world, you need to have a huge team. That means building teams all over the country and all over the world. 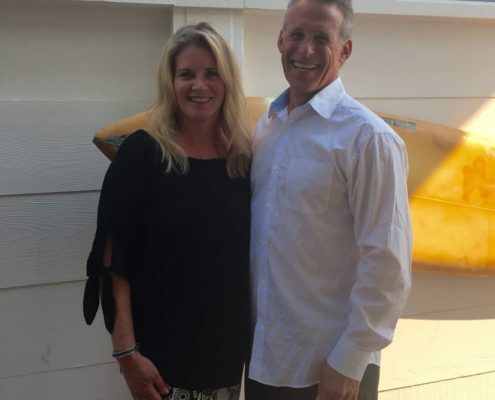 There is truly only so many people we can bring on board in our immediate markets, so mastering the art of long distance team management is one sure fire way to accelerate your mlm business. However, working with people from every corner of the world has its challenges. 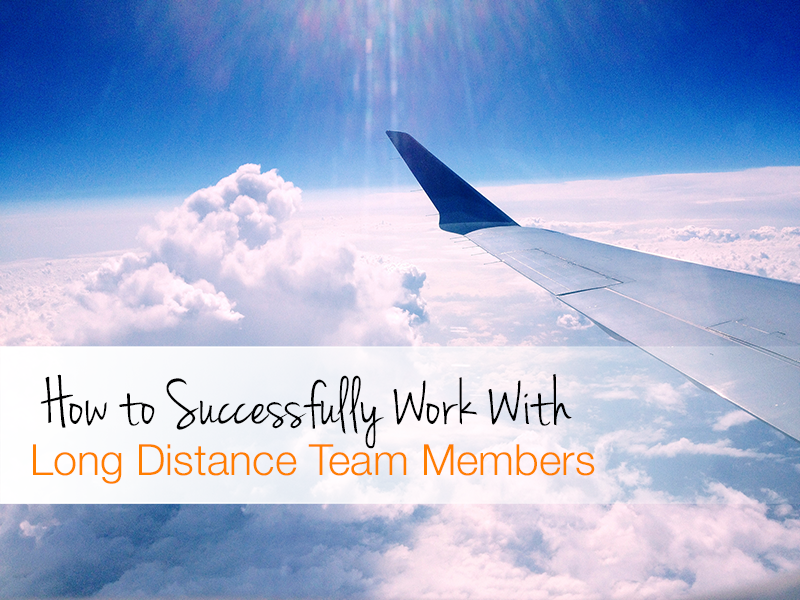 Here are my best tips for successfully working with long distance team members. Setting up regular check ins with my team has been extremely helpful. A lack of communication in your business is going to cause major problems and will not make you more money. I like to give my regular check ins a set structure. 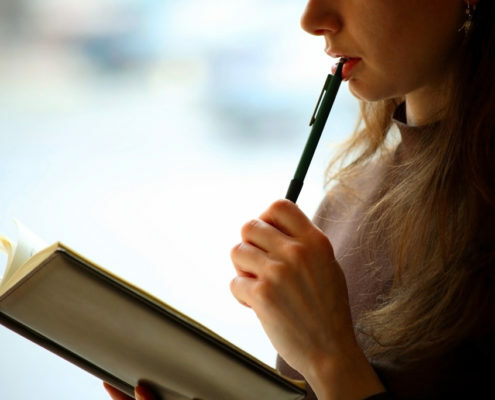 We make a list of tasks, goals and objectives that we discuss during our phone calls. Then the following week, we go over that list and make new tasks and goals. This prevents things from falling through the cracks and gives your team the moral support and guidance they needs as they build their network marketing business. Since you cannot be there in person to physically provide materials or advice, build a digital library of tools that can be easily shared. This will make your job SO MUCH EASIER. The more replication you can produce the better. That is key to building quickly. Your team is going to do what you do, not what you say. However you share the products and opportunity, always remember your prospect is thinking “So this is what I need to do.” The easier and quicker you make it the more people will also think “I can do this!”. That is why a digital library of tools for easy reference is so important! 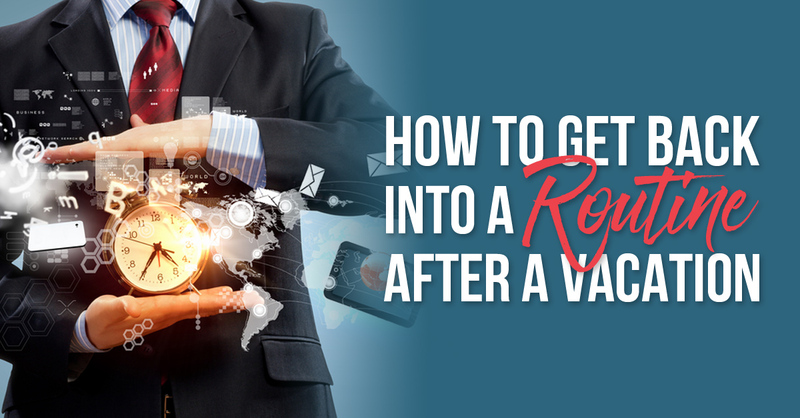 If every time you reach out to a prospect you have to search on what to send and where is that link, etc… Well, you can see how that would break down pretty quickly. 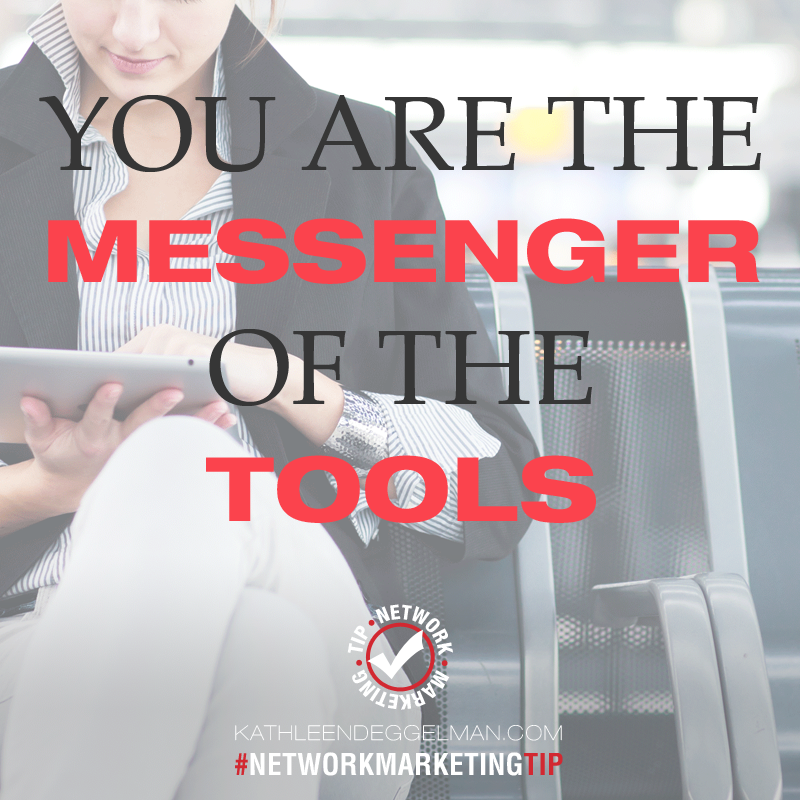 Very important to remember you are just the messenger of the tools, not the message itself. Think about what this means – you are delivering the message meaning the tool, not the actual message. For example, your prospect wants to know about the comp plan. You deliver the tool – a quick overview of your company’s compensation plan and then answer questions after they have watched. Think about how much faster that is that you being the one to share over and over again what the actual compensation plan is. You have to think speed and efficiency. It’s 2016, time to get hip with technology! I love using Google Hangouts and Skype to meet with my long distance team members. I am also checking out Zoom now. It’s so much more personal than a phone call and you can learn a lot more about their personality by seeing their expressions. What’s app is a great app that works really for long distance communications too. You can also record your video chats with your team and share them with teams in other locations. Again, regular communication is key. We are building relationships and even though we can’t see our long distance friends and teammates all the time in person, these tools will help them feel like you have seen them! The phrase in our business we say over and over again is that “We build our business from event to event.” Events are the BEST way to build belief in yourself, your business opportunity and the profession. And they are also great for team building and building rapport with each other. Events are a great opportunity to spend time with your long distance team. 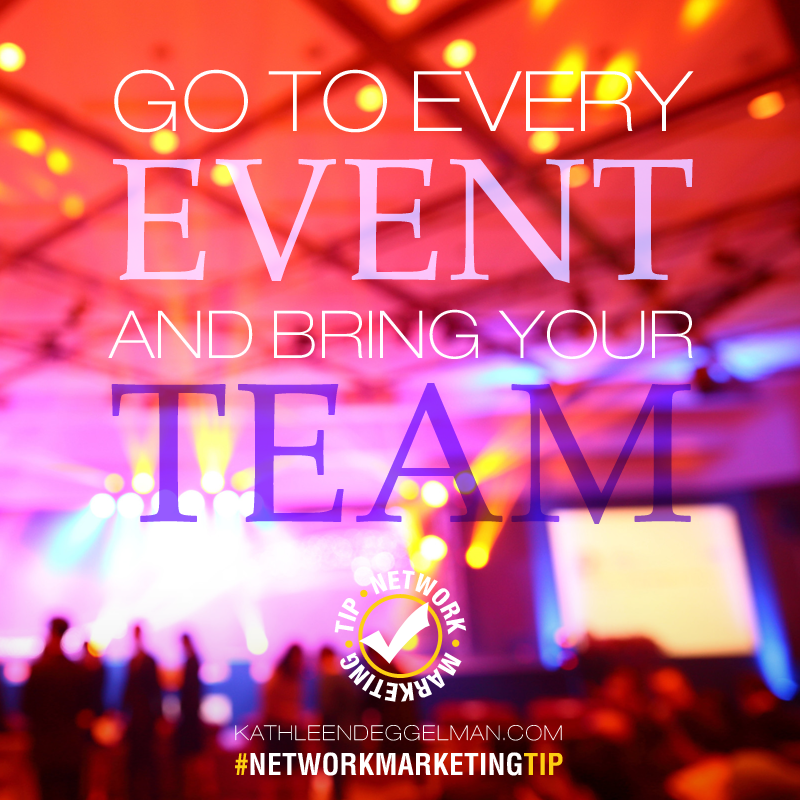 Going to your company and team events is one of the single best investments you can make! You need to become an incredible promoter of the events. Events build the community, culture and passion for your company. Events are the best way to be sure your team is constantly learning. See you at the next event! Have fun with building your business all over the world. There is nothing like travel to broaden your broaden your perspective and to feed your soul! One of my favorite things about our profession is the places I have been to and the friendships I have met! Here is to your world travels and world teammates! P.S. I hope my tips on successfully working with a long distance team are of value to you. If you liked this blog post, I think you will love my blog post on How to Stay Persistent and Reach Your Goals. Taking a Vacation…Greetings from Tahiti! I am writing from the beautiful beaches of Tahiti! Things have been hectic with work (in a good way), but sometimes you just need to escape to the beach for a little R&R. Prepping for my trip made me realize just how important taking a vacation is! Overworking yourself can hurt your business. 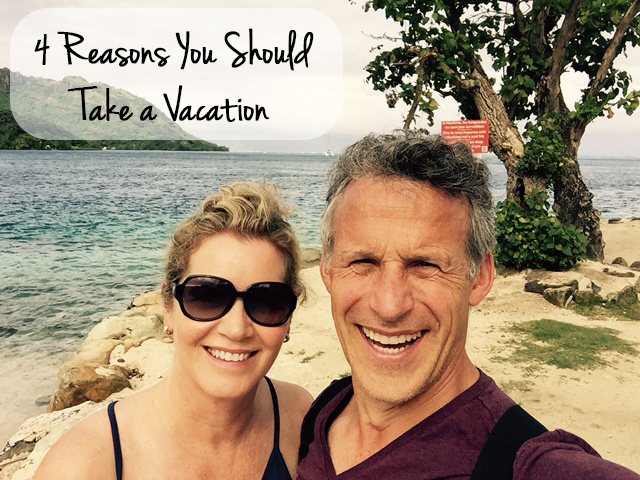 Here are my 4 reasons why we should take a vacation this year. When was the last time you took a vacation? It is important to slow down and make time for yourself. It can be hard to step away from the laptop, or turn your cell phone to “do not disturb”, but it is SO important to try. Taking a vacation can mean taking a trip to Tahiti, or just having a spa weekend staycation. Whatever form the vacation takes, just make sure you are giving yourself a chance to relax. 1. Taking a vacation will actually make you more productive! 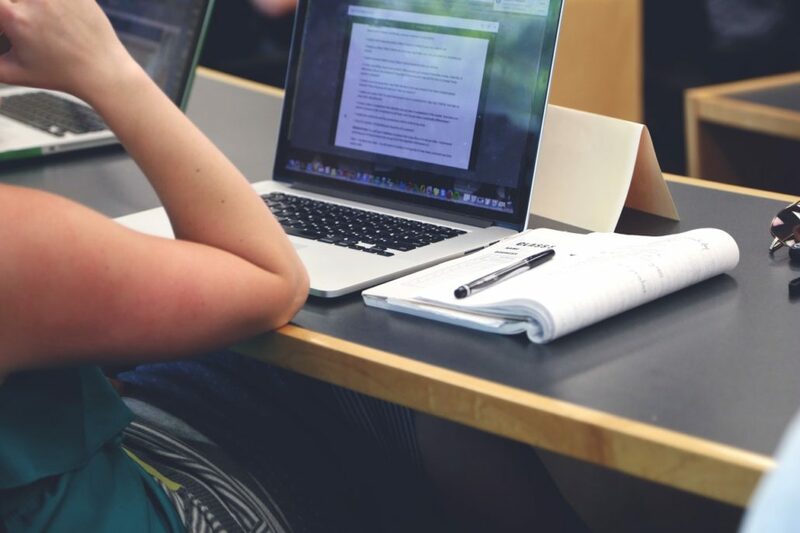 You may be focusing on how much work won’t be getting done, but if you know you are about to take a week off, you will be surprised to see how much work you can complete before your vacation starts. Having deadlines keeps our work flow going. Never scheduling breaks or vacations just invites you to work the same amount over a longer period of time. Work smarter, not harder. I went through a pile of papers that were nagging at me just before we left. Pushing myself to get through them felt great once they were done! 2. Relationships can suffer when you are over worked! When you work late, you miss out on your friends and family. 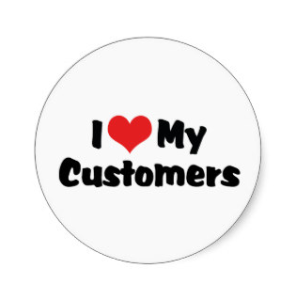 These relationships are important in life and for home-based businesses. Working from home makes it especially hard to start and end work at reasonable times, but trust me, your friends and family will thank you for it! 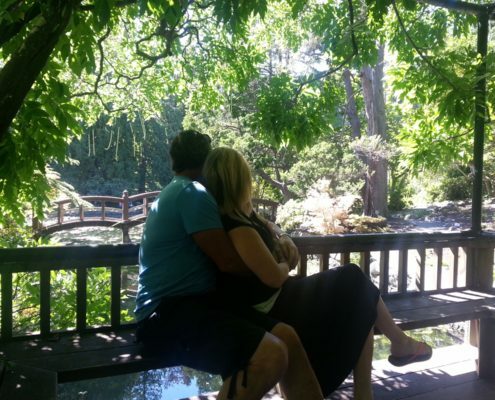 Take a vacation with your kids or husband – make time for the ones you love. Every year my best girl friends and I take a weekend trip to Napa for a weekend of fun and wine tasting. I don’t always get to see them, so this time is so important to keep those bonds strong. 3. Taking time to do something you love is a major stress reliever! After a few hours (or even a day) away, you might come back to your work much more refreshed and ready to accomplish a difficult task. Sometimes, when you get stuck, all you need is to walk away from what you are working on and you might find the answer right in front of you! 4. If you don’t take time off you can burnout! 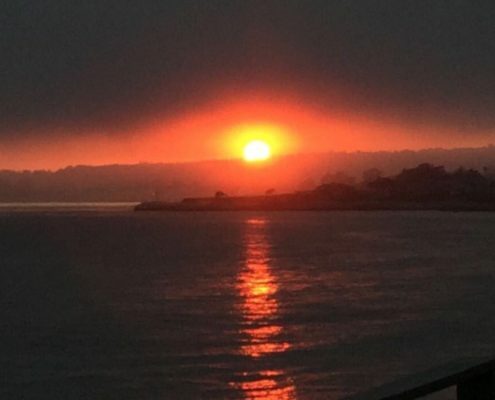 Burning out happens when people do not take breaks from their work. When you are working too many hours a day, you will start to hate the work that you once loved! 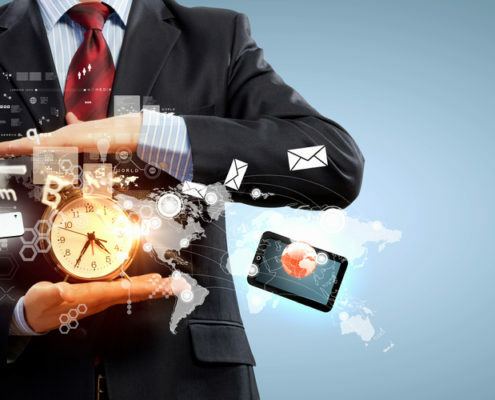 Think of your long term career – you have a lot of time to accomplish everything you need to. Take a vacation and focus on something else for a week so you can come back to the office refreshed and excited to work. Hope you enjoy these photos of Tahiti. We are having a blast and I expect to come home refreshed and ready to go again! I hope I have inspired you to put the phone down and take sometime for yourself! Slow down and take a vacation. 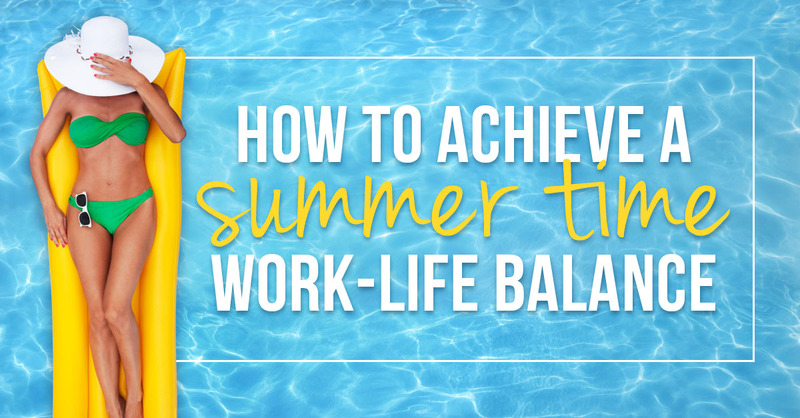 It is summer – my favorite time of year to take a break! Invite some friends over for a summer party and unwind with the people you love and cherish. And plan that next get away. The beach is calling me….